George Davey Smith M.D., D.Sc. Award Year: 2001 Drs. Lynch and Smith will develop an individual and population lifecourse framework to better understand the two dominant features of population health - widening disparities existing simultaneously with overall improvements. Through analyses conducted at the individual, regional (states and regions within the U.S. and U.K.), and international levels, the investigators will examine how lifecourse influences affect a particular cohort, different cohorts over time, and disease trends among populations in wealthy nations and between the rich and poor within these countries. A range of exposures and health outcomes will be studied including low birth weight and such cause-specific morbidity and mortality indicators as CHD, stroke, COPD, asthma, TB, suicide, cirrhosis, accidental/violent deaths, and lung, breast, and stomach cancer. Findings should clarify those poor starts in life that can and cannot be overcome and assist in identifying targets for interventions. 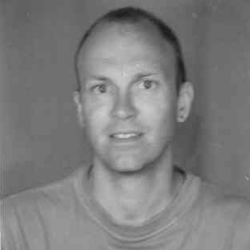 George Davey Smith is professor of clinical epidemiology at the University of Bristol, honorary professor of public health at the University of Glasgow and visiting professor at the London School of Hygiene and Tropical Medicine. His major research interest relates to social inequalities in health and how these are generated by exposures acting over the entire lifecourse. Dr. Davey Smith has also worked on HIVAIDS prevention in Nicaragua and India and on issues around the history of epidemiology, meta-analysis, lay epidemiology and epidemiological methodology. He was elected a foreign associate of the Institute of Medicine in 2008. He is currently editor of the International Journal of Epidemiology. Harper, S., Lynch, J., Burris, S., Davey Smith, G. Trends in the Black-White Life Expectancy Gap in the United States, 1983-2003. JAMA, 2007, 297(11): 1224-32. Lynch, J.W., Davey Smith, G., Harper, S., Bainbridge, K. Explaining the Social Gradient in Coronary Heart Disease: Comparing Relative and Absolute Risk Approaches. J of Epidemiology and Community Health, 2006, 60: 436-441. Galobardes, B., Davey Smith, G., Lynch, J.W. Systematic Review of the Influence of Childhood Socioeconomic Position on Risk of Cardiovascular Disease in Adulthood. Annals of Epidemiology, 2006, 16: 91-104. Lynch, J.W., Davey Smith, G. Is Income Inequality a Determinant of Population Health? Part 1. Milbank Quarterly, 2004, 82(1): 5-99. Lynch, J., Harper, S., Davey Smith, G. Plugging Leaks and Repelling Boarders--Where to Next for the SS Income Inequality? International J of Epidemiology, 2003, 32(6): 1022-8. Lynch, J., Davey Smith, G. Rates and States: Reflections on the Health of Nations. International J of Epidemiology, 2003, 32(4): 663-70. Davey Smith, G. (ed.). Health Inequalities, Lifecourse Approaches. The Policy Press, 2003.